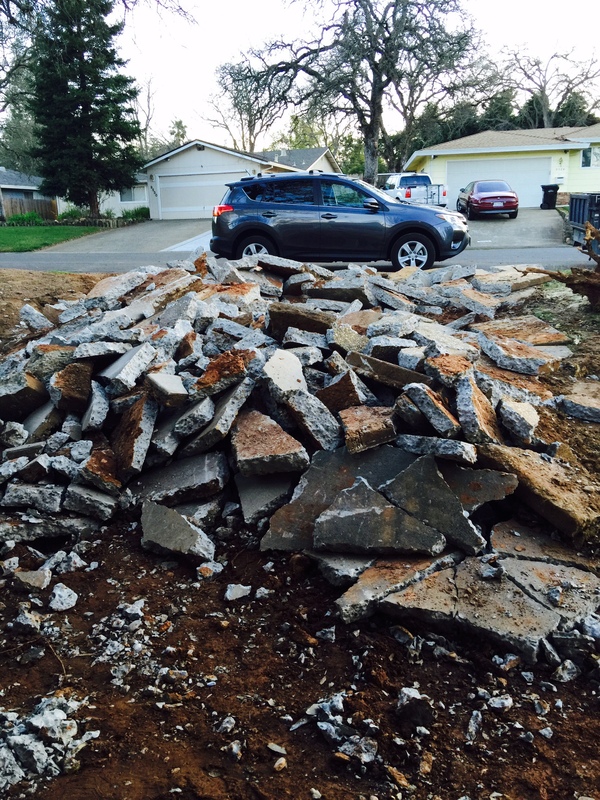 This is my driveway (no garage for my car for the next week or two). My front walk and yard – a dead oak tree and two 7 feet tall tree stumps plucked from the ground, cars everywhere on the lawn. 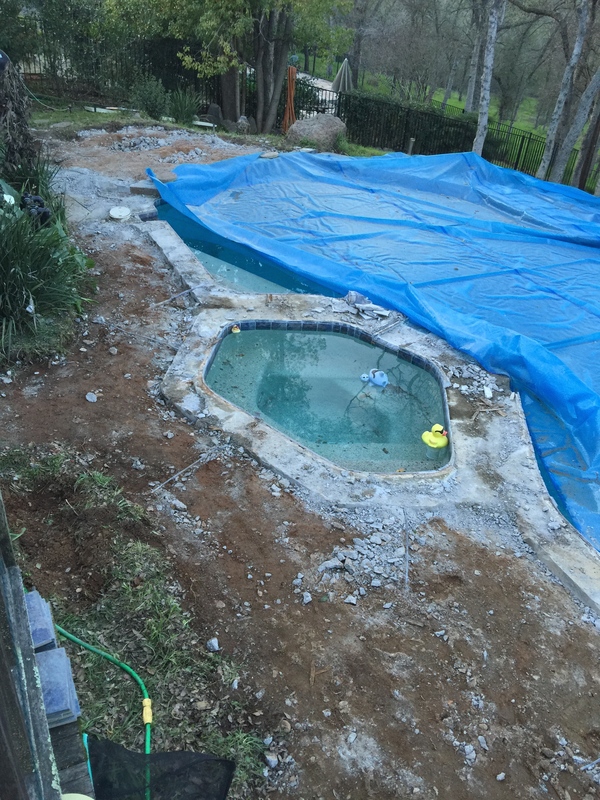 Our poor pool has lost its diving board and pool deck. 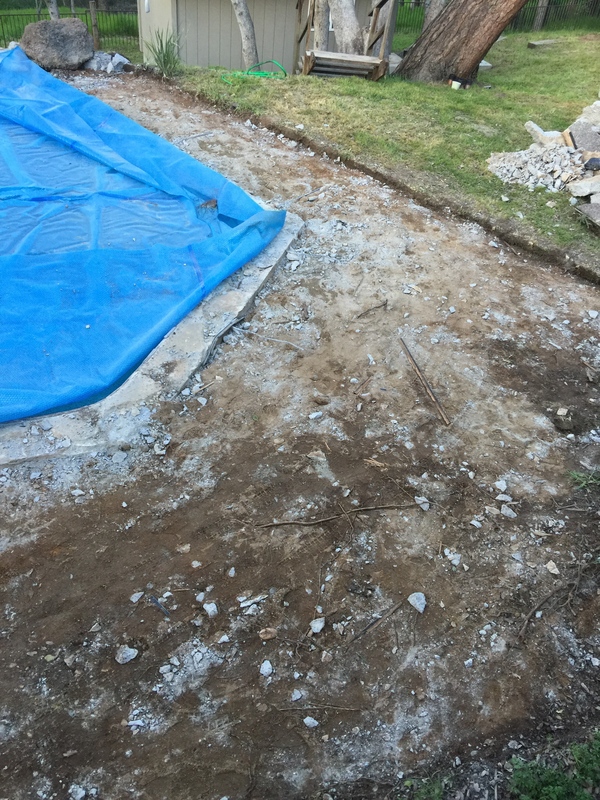 ALL it’s old exposed aggregate pool deck stripped away. Jack hammered into submission and left in a pile in the black space where the expanded pool deck will be poured. 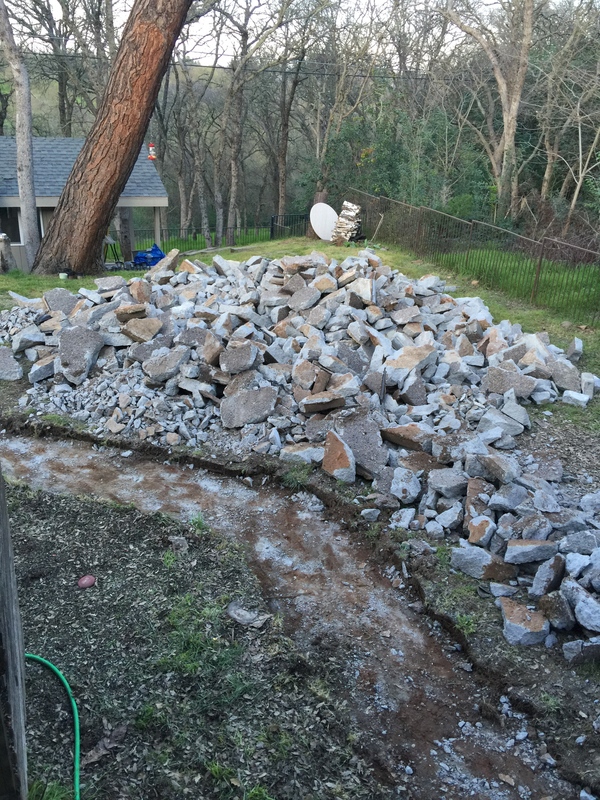 The pile of rubble that was once our side yard/RV pad and 3 adobe planer boxes. 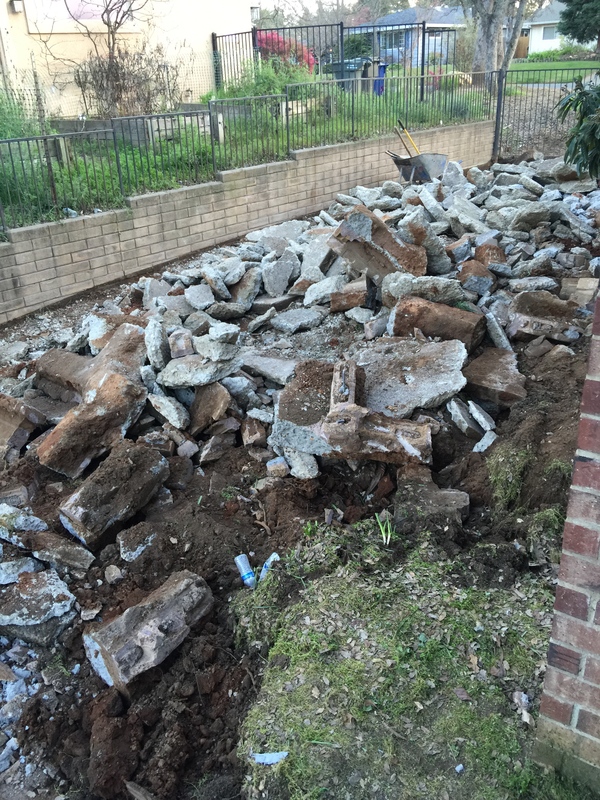 It will be worth it, it will be very nice when it’s all done, but today … WHAT A MESS!!! I’m not holding my breath on the neighbors, but we are really looking forward to enjoying the finished project. 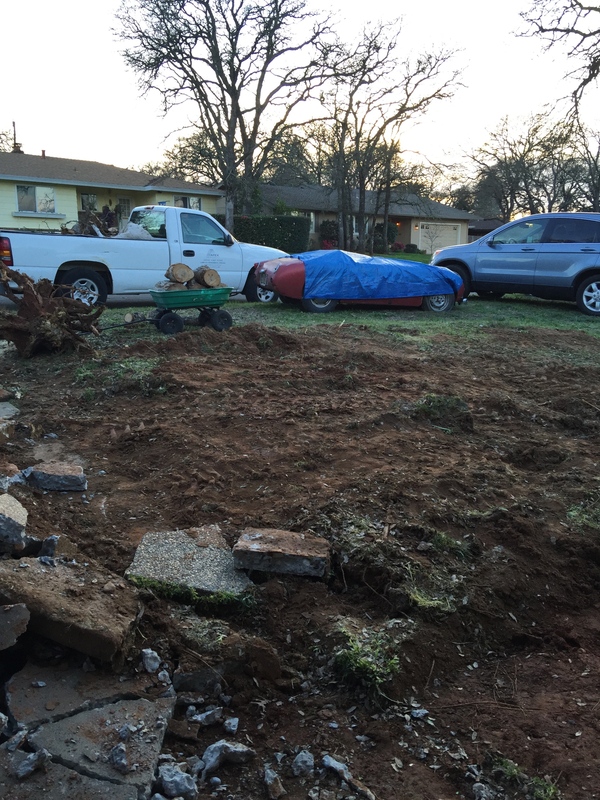 The extra concrete space in the back will be nice for gatherings with family and friends, and M is so looking forward to the big giant RV pad to work on cars and projects.